While we work on novels, submit work to magazines, and create stories for independent collections, our new way of staying in touch with our readers will be writing posts here about our progress and explorations in writing. 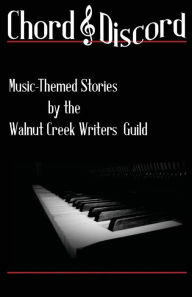 Following the example of the famed Algonquin Hotel lunches, the Walnut Creek Writers Guild will hold its first Round Table discussion on Saturday, January 12 from 1 to 2 p.m. Writers who would like to join us are welcome to contact Sandy Shaller on Twitter, @WalnutCreekWG, or Facebook. For holiday gift-giving, we gathered both fiction and nonfiction titles we’d given as gifts ourselves, or wanted to read as soon as some post-holiday calm returned. Now that the calm is approaching, we’re keeping our list posted so you can explore books for the new year. We wish you many good reads in 2019. Berkeley Bowl Cookbook by Laura McLively. A collection of recipes that covers the range of fresh produce offered at the Berkeley Bowl, as well as a short history of the store. This is My Best Contemporary authors select their best writing, which editors Retha Powers and Kathy Kiernan have compiled into a volume of inspiring reading. A Story of Loneliness, by John Boyne. The main character of this novel is a Catholic priest who was aware of the abuse of children and did not know what to do about it. The Writer’s Map, an Atlas of Imaginary Lands “…gathers intelligently charming meditations from writers and festoons them with map after map after map after map of imaginary, and sometimes non-imaginary, lands.” From a review by Alan Jacobs in the Weekly Standard. Anatomy of Story, by John Truby, recommended by an editor to one of our writers. Becoming, by Michelle Obama , which needs little introduction and is very popular, but we’ve linked to a Kirkus review. Fire Upon The Deep, by Vernor Vinge “No summary can do justice to the depth and conviction of Vinge’s ideas. The overall concept astonishes; the aliens are developed with memorable skill and insight; the plot twists and turns with unputdownable tension. A masterpiece of universe-building.” from the Kirkus review. Federalist Papers “Written by Alexander Hamilton, James Madison, and John Jay, the essays originally appeared anonymously in New York newspapers in 1787 and 1788 under the pen name “Publius.” The Federalist Papers are considered one of the most important sources for interpreting and understanding the original intent of the Constitution.” From the Library of Congress description. If you’re a writer, or hoping to become one, you’ll probably have spent some time thinking about picayune things like characters, plot and theme. I don’t know how it is for you, but I never know what’s going to come first, an idea for a story or characters demanding to be put down on paper. I recently finished a children’s book that was only going to be a short fantasy story that I promised to write for three young cousins in New Jersey. But, the little devils were so wonderfully lively on paper that a short story couldn’t contain them. This was problematic, because I then had to stop the writing I had done so far and start imagining a novel-length plot that my characters could carry and that would be worth the writing. When I finished that book, which is currently being edited, I wasn’t done with my characters. I wanted to write a sequel, but I also felt a real need to have my three white characters interact with a more diverse group of children. As I started to work on models for the new characters, I simultaneously started puzzling out a plot that would legitimatize the use of diversity. This turned out to be much harder than anything I had done before and eventually lead me down the path of research. Happily, I enjoy doing research, as it almost invariably winds up feeding both my energy and my imagination. Meantime, my cast of characters needed fleshing out, and here’s where we get to the subject of maps. My writing group once spent a little time talking about our different writing methodologies. It seems that we broke down into two camps; those that get a creative urge and start to write, allowing the story to develop as they go, and those that need to map out where they are going before starting to write. I fall into the latter category…with a passion! Since teaching was my first passion, I continued teaching English to our fourth graders with a strong focus on writing. One day our school’s tech department suggested that I explore a graphic organizer called Inspiration (for adults) and Kidspiration (for young writers) that might be a good tool to help my young writers organize their thoughts. These applications enable you to create visual maps. For me, and the majority of my students, this tool proved very helpful. I use Inspiration maps to make a sketchy outline of my full plot, breaking it down by the parts of story structure that I learned from the English teacher that had tremendous influence on both my reading and writing, and my desire to teach, Ms. Sandra Kyman. Later, my story structure map will be fleshed out in a detailed outline. This same process will be followed for each and every chapter in my book. I read that Stephen King uses ten computers to facilitate his writing. The majority of the computers are used to keep track of plot elements and the various drafts of the book he is currently working on, another couple have the growing developments of future books he plans to write. That’s Stephen King! – William Faulkner, an interview of The Paris Review, in 1956. Whatever method you develop through trial and error, we all have one thing in common and that is the need to edit and revise. But that may be the subject for another article. Until then, happy experimenting, happy error making, and happy writing. About two weeks ago, the guild held it’s first ever retreat, which was a one-day dive into nothing but writing. Two members located a perfect spot. It was quiet and had comfortable chairs as well as tables with chairs.We all pitched in on food, coffee (essential writing supply) and extension cords. It went so well, we’re already planning another retreat for the spring. Write . . . you can always rewrite later. If you’re stuck, skip ahead to something that’s vital and inspires good writing—no need to be linear. It’s OK to critique as you go, but don’t let that stop the writing. I find it’s good to have an outline or list next to me. Think in terms of segments you can link later, like actualities (sound bites from sources you plan to air in an audio piece that your narrative will bridge together). Don’t give in to the first temptation to walk away/distract/give up: force yourself to stick with it for an allotted time—even if you toss it later, you’re training yourself to write when you want, not just when you’re inspired. Work where you can see something pretty (nature). Think of writing as doing musical scales: it can feel like drudgery, but it’s a foundation that builds dexterity and fluency. When writing flows, throw everything else aside and write until you’re dry. Write with other writers, it helps somehow, and demystifies the craft. A gifted writer I know once told me the best way to master plot and story structure is to study screenwriting. They’re action and dialogue segmented into the building blocks of scenes, and each scene is there for a reason. Studying them had forced him to look at, and cut out, the slack and excess in his fiction. This past summer I followed his advice. I’ve only written short stories, until one of them morphed into something with novel-length possibilities. Realizing that felt like standing by a very wide river looking at the other side. I could see it—sort of—but wasn’t sure how to get there. So I created my own screenwriting study plan focused on plot and structure. What drove it all home was creating my own beat sheet for a film. I watched Michael Clayton with a blank template and a copy of the film script open on my computer (lots of hitting ‘pause’ involved here), and wrote the beats out in the template. It was like seeing a 3D X-ray of the film’s architecture. It was also a learning experience that really sank in and left me with a sense of how to structure a layered story with complex characters. Finally, a way to build a canoe and get across that imposing river! Dan O’Bannon’s Guide To Screenplay Structure . O’Bannon addresses the logic and rhythm of story structure in a way that translates smoothly to writing fiction. He also examines theories of storytelling and structure from Aristotle’s Poetics through Robert McKee. That section alone saves you reading about six other books, which is no small gift. There are exercise sheets to prompt your own scrutiny of films (that could also be used for fiction) and a 6-8 page analysis for each of 12 films that includes an exercise at the end. You can create a blank template based on his analyses and use that to study other films or fiction. Highly recommended! The second book is by Karl Iglesias and is made up primarily of verbatim advice, broken down by topic, from about 20 career screenwriters. Its focus is firmly on writing and story structure. A little time is given to dealing with studios and the film business. The advice is realistic and helpful, including references to books and teachers that had most inspired the screenwriters who were interviewed. The book’s title, The 101 Habits of Highly Successful Screenwriters is catchy but doesn’t really signal how thorough the contents are. Most helpful plot tip: decide on the theme and make sure every scene is related to it. My takeaway here is that, at the heart of the story you want to write and the spark that ignited it, there is an essential point you want to make or explore. That’s your theme. Don’t include an event or character that doesn’t relate, reveal, or lead to this core concept. We have published our second anthology, titled Chord & Discord, which is available through Amazon and Barnes & Noble. You can also read excerpts by clicking on the story titles below. Thanks for visiting our site, and let us know what you think.